Doganiero to walk on at New Haven. Doganiero, Kohler named Athletes of the Year. Doganiero, Prough, and Smethers earn All-Region honors. Hornets eliminated from District Basketball Playoffs. Doganiero, Prough, Ingerick headline Hornets NTL All-Stars. Hornets top Towanda to win NTL Showdown. Hornets smack down Mansfield in NTL Showdown. Prough's 19 push Hornets over NEB. Hornet basketball overpowers Troy, 73-41. Towanda pulls away from Wellsboro, 65-55. Hornet basketball tops Liberty, 54-34. Hornet boys top Williamson, 62-42. Hornets double up Canton, 68-34. Hornets boys roll over Wyalusing, 58-38. Hornet boys top Troy, 54-49. Hornet basketball picks up 56-43 win over Athens. Hornet boys fall to Towanda, 60-54. Hornet boys top Mansfield, 67-55. Hornets fall to Neumann, 65-45. Hornets fall to Lewisburg in title game. Hornets outlast Jersey Shore in Christmas Tournament. Prough's 3-pointer sinks South Williamsport. Hornet basketball tops CV, 67-43. Hornets drop North Penn, 60-40. Boys basketball falls to Sayre. Athens' Hafer, Williamson's Horton to play in District IV Senior game. NTL East boys rally past West in Senior Game. Huff heads boys' All-Region team. Towanda, Wellsboro to meet for third time in NTL title game. Moyer leads Athens past Sayre. Hot North Penn downs Mansfield. Mansfield tops Sayre to tie atop NTL Division II standings. Huff, Rodenhizer lead Towanda to win over Wellsboro. Sullivan County rolls past Muncy. Williams scores 40 to lead Sayre to win. Huff leads Towanda boys past Troy. 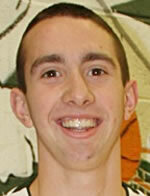 Wellsboro boys rally past Troy. Sayre jumps out early, holds on to beat Mansfield. Towanda boys notch win over Wellsboro in large-school showdown. Towanda wins North Penn Tournament. Wellsboro tops South Williamsport on Prough's game winner. Knights pull away from Montrose. Wellsboro boys edge Muncy at South Tourney.